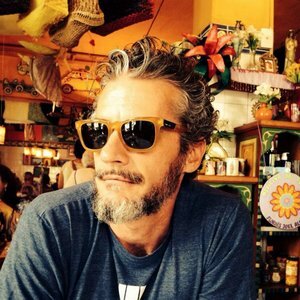 Loïc Francois Marie (Lima) Dubois, 45 father of three kids, born in Paris and currently living in Sao Paulo. Educated in English and French, ended my schooling in Paris and graduated in Philosophy Art and Literature. Worked as a photographer assistant in Paris and then Palo Alto (CA). Moved back into moving image, winning a BFA in Motion Picture and Television at the Academy of Arts College, San Francisco. Started pushing pixels since the early 90's working as a broadcast designer and producer for the South American market working for Cisneros Television Group (Claxson), MTV Latin America, AXN, and Disney among others. Joined Lobo in the end of 2002 assisting and executive producing for the creative director founder Mateus de Paula Santos. Since then Head of Global Production overseeing all the international executive productions for Lobo and Vetorzero. With the Ebeling Group from 2003 to 2013 with most of the major agencies worldwide such as TBWA Paris, Saatchi & Saatchi Paris, DC NAZCA, BBH London, 180 Amsterdam, Kessels & Kramer, Ogilvy & Mather NY, BBDO Energy, McCann Erickson, Arnold Worldwide, Deutsch LA, to name a few, winning a large amount of renowned international awards and festivals and signed with Passion Pictures for Europe in 2014.